Not post to bing.com on port 443.... — . :: GSA SEO & Marketing Forum ::. 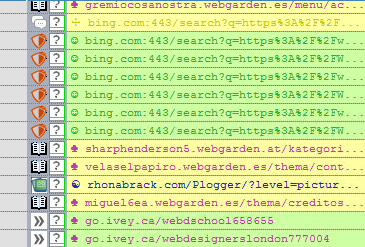 I have a hosts filter list on a site of my own which is imported to the filters list for sites I want to never post to, including bing.com but there are still loads of entries like this screenshot below - I doubt these are of value so how do I stop SER targetting bing.com? what type of engine is that? In anticipation, I just removed that engine from the projects, must be a footprint issue. ahh yea thats true...it your url is found by just opening another one, it adds it as verified no matter if there was any submission involved.